Gutter cleaning is a very important but often ignored part of maintaining a property. There are several reasons why we forget about gutters until there is a problem. Firstly, we don’t usually see or notice them the way we do other features of a building. Secondly, gutters can be hard to get to. We may not have a ladder long enough, the time or a head for heights! This is why our professional gutter cleaning services in London are invaluable. The specialist team of gutter cleaners will remove all the debris – leaves, grass, moss and other material – that build up in guttering over the months. If it is left in the gutters it becomes water-logged and heavy. Blocked gutters will overflow and leak which causes unsightly marks or even damp problems in masonry and timber. Gutters may also pull loose due to the weight and damage fascia boards and soffits below and around them may result. Wet material remaining in gutters can also cause rusting or corroding of the guttering. Gutter specialists and installers recommend that all gutters should be cleaned out twice a year. 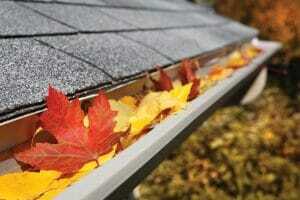 If your house is close to trees you are likely to need gutter cleaning services more often. Regular cleaning out of gutters, preferably manually, by an experienced gutter cleaning company is essential to keep gutters in good condition and to prevent damage to the building. Failure to clean gutters can be very costly. Our guttering services are performed by experienced gutter cleaners. They will clean the gutters on your property meticulously and provide you with a photographic record of the gutters before and after so you can see the effectiveness of our work. They also rinse the system once cleaning is complete as this will show the presence of any leaks. You will be advised of any problems or issues that require further attention in the form of repairs or replacements to either gutters, seals or gutter brackets. 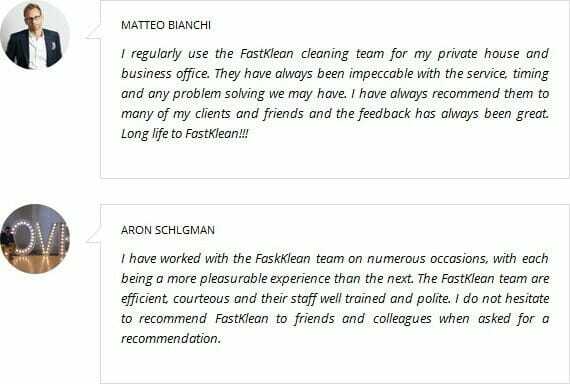 So, contact FastKlean on 020 8884 9149 before blocked gutters overflow and / or cause damage to your property and belongings. Don’t delay! Call us for more information or to arrange a quote.